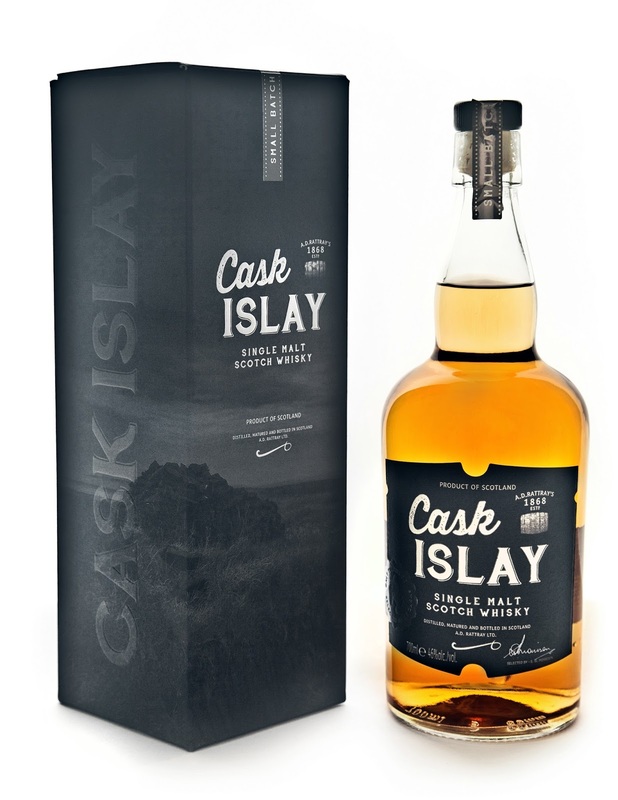 Cask Islay, a bargain Islay dram. I was thinking about getting myself another Islay and I’ve taken myself to the Good Spirits booze emporium in Glasgow and I’m doing my usual of humming and hawing and not making a decision and I was torn between Smokehead and Cask Islay and as you’ll probably guess from the title I went for the latter. It’s a Single Malt from A.D. Rattray’s bottled at 46% there is no mention of chill filtration or colouring but you don’t get much Scotch Mist happening so it might well be chill filtered and there may well be colour added but not much as it’s light and don’t let that put of you off as it’s great and under forty of your hard earned pounds. It also has no age statement and they don’t tell us where it’s from either, other than it’s from Islay and I’d say it’s pretty young. My tasting notes are with the addition of a drop of water. Nose. Smoke, obviously, I’ve had this bottle open for about six months now and it’s changed somewhat, pink peppercorns, sweetness too, fresh fruit notes, apples and raspberries, marshmallows burning over hot coals. Palate. A slight burn and the peat takes charge but now the bottle has been opened, sweet with vanilla and sherry notes, maybe bourbon and sherry casks used? It’s pretty young, under ten years. I get a lemony note too, it reminds of Ardbeg. Finish. Short and sweet, easy to drink for a 46% Islay. I have no idea where it’s from, but it’s cheap, I thought Ardbeg then Bowmore but what do I know? Previous The Glasgow Distillery, a trip into the unknown. Next Famous Grouse, Smoky Black, Whisky snobs can bore off right here.